Karen Fischer, the award winning author of The Healthy Skin Diet has released a new book especially for people with eczema. 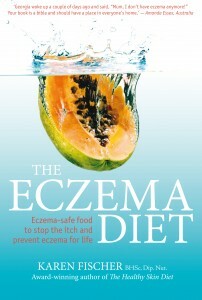 A practical book designed to improve the general health and the skin of eczema sufferers. Below you will find a list of books dedicated to Eczema. Click on the images to learn more about these Eczema Books on the Amazon website.